The CEO of Berkshire-Hathaway invests in bad food and his diet reflects it: he drinks Coke at breakfast and ice cream is an occasional accompaniment. Warren Buffett knows you are weak. Even if you hit the gym regularly and demonstrate Buffett-esque discipline with your investments, sooner or later you’re going to gulp down a sugary soft drink and put your money into mac-and-cheese with a bright orange hue. Buffett believes in bad food, both as a consumer and an investor. While there might be no long-term reward in risky eating, there’s relatively little risk in buying best-of-breed junk-food holdings — at least if Berkshire Hathaway returns are any measure. The Omaha company has made a mint on artery-based arbitrage. • 2008: Berkshire Hathaway put up $6.5 billion to help Mars purchase chewing-gum maker Wm. Wrigley Jr.
• 2013: Buffett pours $12.25 billion into a deal to take ketchup- and-packaged-food giant HJ Heinz private under 3G Capital, a Brazil-based private-equity firm. • 2014: Berkshire Hathaway provides $3 billion in financing for Burger King’s purchase of the Tim Hortons doughnut empire. It is getting a 9 percent annual return. 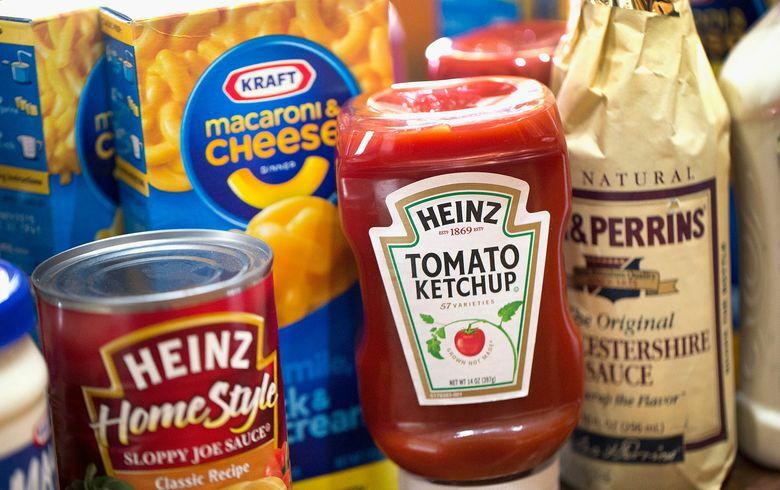 Buffett is back at it again, working with 3G to bring together Kraft Foods Group and Heinz. The deal creates the third-largest food and beverage company in North America — a veritable mountain of ketchup, cold cuts, Kool-Aid, and lots of cheese. While cutting these deals, Buffett was putting his mouth where his money was. His diet consists of Cheetos, licorice and — most often — Utz potato chips as a source of vegetables. The investor is known to drink Coke at breakfast, a meal for which the main event is occasionally ice cream. When asked about his diet, Buffett has said he aims to eat like a 6-year-old because that’s the age at which mortality is least likely. In terms of investing, his junk-food strategy is even more straightforward: People like to indulge. “No business has ever failed with happy customers,” Buffett said at Coke’s annual meeting in 2013. Like most koans, however, that little gem makes more sense the longer one thinks about it. Consider health food. It can be fast-growing, but it’s also volatile. Going long on carbs before the Atkins diet hit would have been a disaster. Gluten-free has been great in more recent years, but the backlash is building already. From an investing perspective, sugar and fats are blue chip stocks — steady, long-term performers not unlike the utilities that Buffett also likes to buy. Burger King has never been mixed up in any kind of health-food trend, and bottled water is about as close as Coke has come to a good-living trend. Kraft Mac-and-Cheese will be paying dividends for decades, just not for diners. Buffett knows this better than anyone because he literally eats the stuff for breakfast. Plus, Berkshire has a healthy hedge: Its core business is insurance.